"CCW Safe is a legal service membership plan that was designed for CCW permit/license holders, active and retired military and law enforcement officers, and gun owners. We are not an insurance plan, we are a legal defense service plan. CCW Safe takes on the burden of the expenses associated with defending a self-defense/use of force critical incident. These expenses can include attorneys fees, investigators, experts, and other associated costs, such as depositions, document fees, trial exhibits, and more. 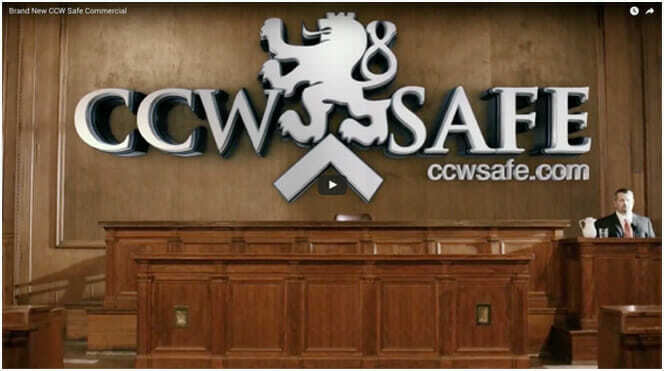 CCW Safe does not have the conflicts of an insurance product because the company is designed to indemnify the cost of the incident and not the outcome of a trial. It is not a reimbursement package and no money is required to be paid back to the company regardless of the outcome. You are covered in all states that honor your permit, and in all 50 states where you can legally possess firearm. CCW Safe members will not have any out of pocket expenses associated with defending a self defense incident, nor will they be limited by a policy cap on defense costs. "